Orio’s net sales for the third quarter of 2017 decreased by 5 percent compared to the corresponding quarter of the previous year and amounted to MSEK 188 (198). Operating profit for the quarter was MSEK 1 (12). Net sales for the period January – September 2017 amounted to MSEK 587 (627), which is a decrease by 6 percent compared to the corresponding period of the previous year. Operating profit for the period was MSEK 4 (30). During the year, the result has been positively affected by a major one-off recall campaign involving Saab cars in the USA. During the third quarter, we saw sales from this transaction gradually coming down. The transaction has contributed well to the result, but also given us the opportunity to get in closer contact with the Saab owners, says Jonas Tegström, CEO of Orio AB. Within the third-party logistics business area, Orio is now becoming increasingly well-known, with several customer contracts signed. We can see an increased number of inquiries from prospective customers as Orio is now becoming more known as a player within third party logistics (3PL) rather than just a supplier of spare parts for the automotive business, says Jonas Tegström. During the quarter, cash flow from operating activities was MSEK 37 (26) and equity ratio at 30 September 2017 was 77 percent (81). For further information, please contact Jonas Tegström, CEO, tel: +46 (0) 155-24 40 09, or Mikael Brate, CFO, tel +46 (0) 155-24 41 20. The company is responsible for warehousing, sale and distribution of Saab Original parts and accessories for all Saab Service Centers and Saab Parts Centers globally and also sell logistics and engineering services. Number of employees in Sweden: about 288. The company is headquartered in Nyköping. The company has subsidiaries in its 9 main markets in Europe and the USA. Number of employees in the subsidiaries: about 52. 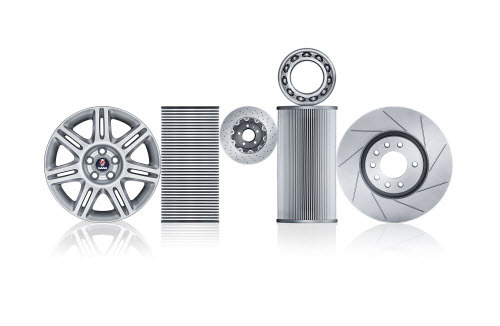 Have been responsible for Saab Automobile spare parts handling since the 1960s and are the sole distributor of the entire range of Saab Original parts. Storage area: around 88 000 m². Storage: about 70 000 articles. Capacity: about 30 000 order lines/day. Shipment of 50 trucks distributed each day. The company is fully owned by the Swedish state. On November 13, 2013, the company changed its name from Saab Automobile Parts AB to Orio AB.